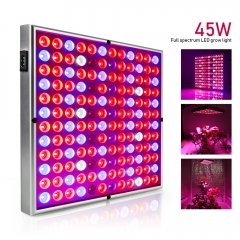 The LED grow light designed with 22Red+8Blue+1White+2IR+2UV+1Warm White; Plants grow three times faster under this LED indoor growing light. 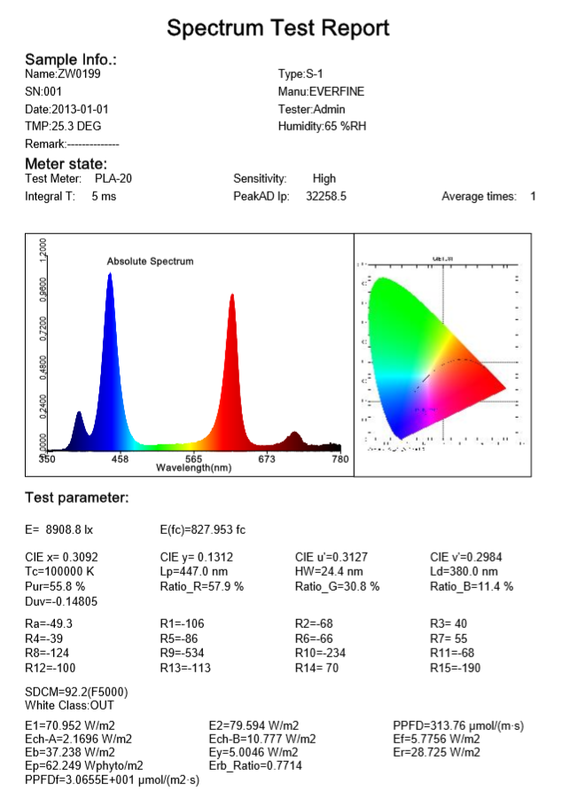 Meanwhile, Wavelengths are fine-tuned to perfection as red (625nm, 630nm) and blue (445nm, 470nm), Ultra Violet and Infra Red which are optimum for plants' growth and bloom. 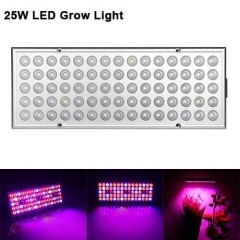 140-degree ultra-wide angle beam covers more efficiently over 15 feet in diameter, which is twice larger than grow light panels. 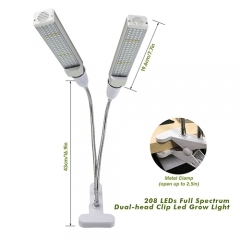 Light beam spreads evenly without a hot spot. 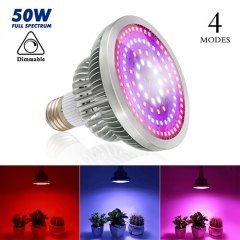 This grows light bulb fit to the standard E27 socket, easy to install and use. 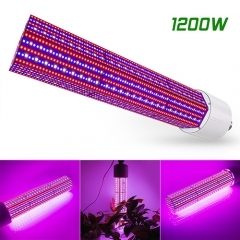 Suitable for all stage of plant growth, you can use it in greenhouse flowers Fruits vegetable lighting, hydroponic systems, and many other plants, offering them an extra boost in production. Suggested height of the light to leaf is about 0.5 meters. 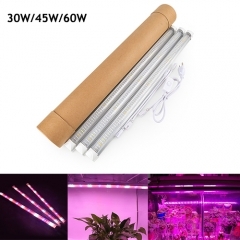 All our LED grow lamps products were strictly through high-temperature test and aging test. We promise 2 years warranty and 24hours email service. 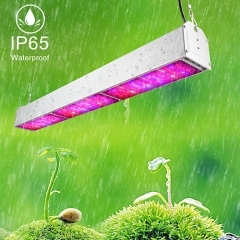 With our grow lights, you can enjoy kinds of plants, veg, and flowers in anti-season. A:These are socket bulbs, no cord. Also I believe at 8 ft its cover area is 4 foot radius. Not for sure about spectrum but they are bright and are in the far end red spectrum. A:The light is extremely bright and can cause eye damage, so I wouldn’t. But you can use it technically in a 150watt max outlet. 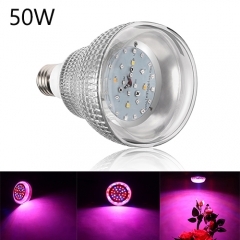 3.Q:What is the diameter of the bulb? I'd like to order a kitchen fixture but am concerned that some of the shades may be to small to fit the bulb. 4.Q:Other things to place this light in, besides a clamp light? A:Hi there, any screw in light bulb fixture you can think of! 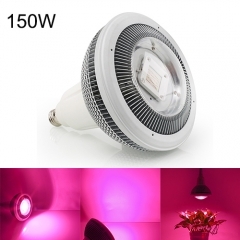 Some of our customers have used it in ceiling cans, lamp stands etc with no issues! 5.Q:How far away from my plants should this be? i need coverage of about 5 feet across. am i able to send pictures of the area i have for direction? 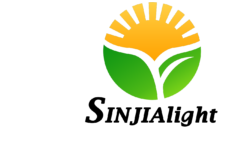 A:Hi there, it really depends on the maturity of your plants and strength of light needed, but it can cover 5 feet across quite easily by raising around 4 feet from your plants. At the end of the day, it's really a test and adjust process. Hope that helps!